Dream big when it comes to your slumber. 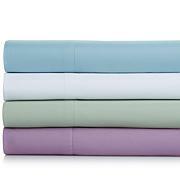 This 1000 thread count sheet set provides a tighter, more durable weave for the kind of comfortable sleep experience you've been yearning for. Cotton-rich construction means less ironing, too. 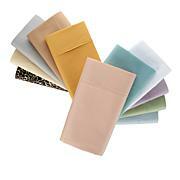 Slip between these decadent sheets and drift away to dreamland. For fewer wrinkles after laundering, remove the sheets from the dryer promptly and smooth out before folding or making the bed. 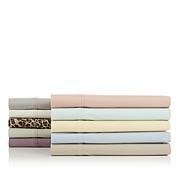 I love this sheet set. In fact this is my second set. 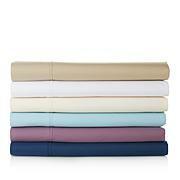 These sheets are made for an abundant fit on newer mattresses. The queen size flat and fitted sheets are large enough. 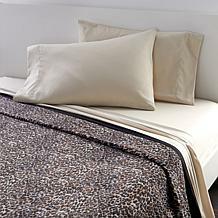 You dont have to struggle when putting these on your bed!!! They are great!!! They are also are very soft and comfortable!!! The best at a great price will by more!! 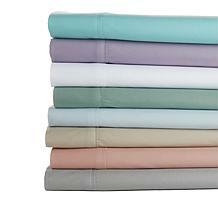 These sheets are an attractive color (I got aqua) but they are very silky. 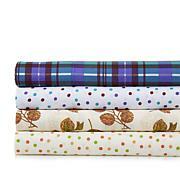 They also are extra deep we hick m as Kesha it very convenient with today's deep mattresses. 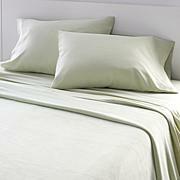 Taupe color and very nice sheets at a great price.